According to Variety the 30-second is made by Walton Isaacson. The agency has Magic Johnson as one of its founders. It is the first Super Bowl ad for the agency. Lexus has decided to already release the Lexus Super Bowl 2015 ad. 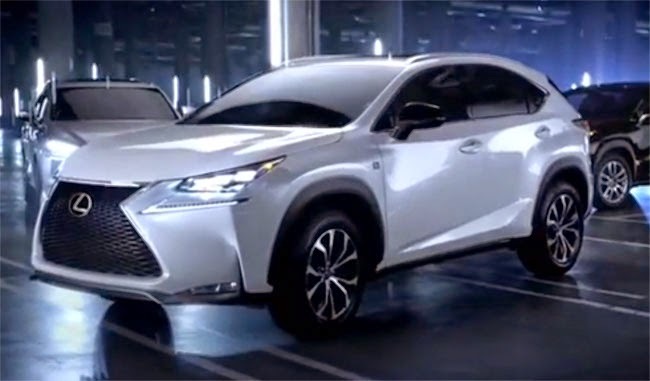 The music video style ad features a sound track made with sounds from the Lexus NX. It is stylish and focuses entirely on the car. The Lexus Super Bowl 2015 ad will stand out for its minimalism. The ad has nothing a typical Super Bowl ad has. It will be likely found at the bottom of the Super Bowl ad rankings. There is nothing to talk about in the Lexus Super Bowl ad besides the car. This was the aim of the agency apparently, but Lexus is taking a huge risk with this decision. The Lexus ad might just get buried by the loud, funny and star studded Superbowl ads. Read more Super Bowl Ad News. See all announced Super Bowl 2015 Ads.